Fotowatio Renewable Ventures (FRV), a leading global developer of renewable utility-scale projects, has awarded two students from Jordan and Mexico with the Young Talented Leaders scholarship. 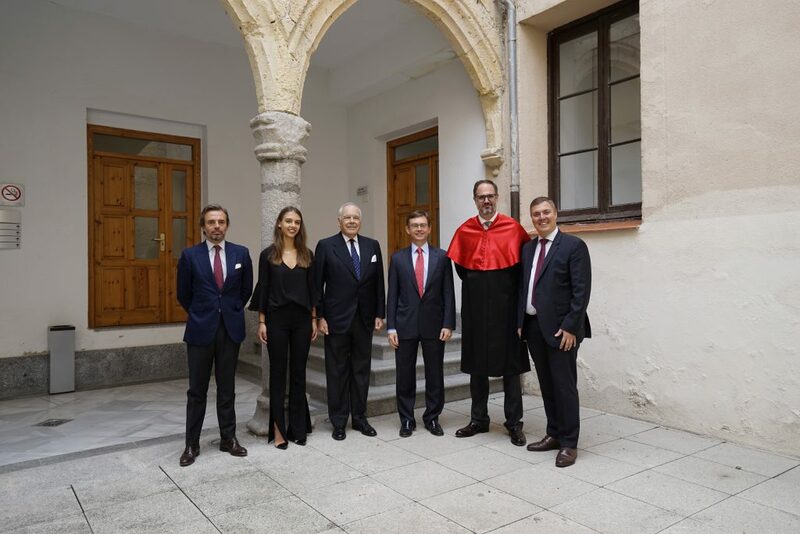 Thanks to this recognition, carried out in collaboration with the IE Foundation, the grant holders will be able to pursue their undergraduate studies at the prestigious Spanish university. The scholarships, called Young Talented Leaders, are awarded as part of FRV’s commitment to the economic and social development in the markets and communities in which it operates. In this case, the scholarships are related to two projects that are currently under development: Al-Safawi (66.69 MW dc) in Jordan and Potosí Solar in Mexico (342 MW dc). Since 2015, FRV has recognized several talented students from Uruguay and Jordan through the Young Talented Leaders program. With the addition of these new grants, FRV will have five students benefiting from this initiative that awards academic merit and excellence. Rafael Benjumea, CEO of FRV, has declared that ” The Young Talented Leaders scholarship is an example of the social and educational commitment of FRV with the communities in which we operate. We are glad to contribute to the recognition of the best young talent and to offer them the opportunity to carry out their studies in a leading university in Spain “.